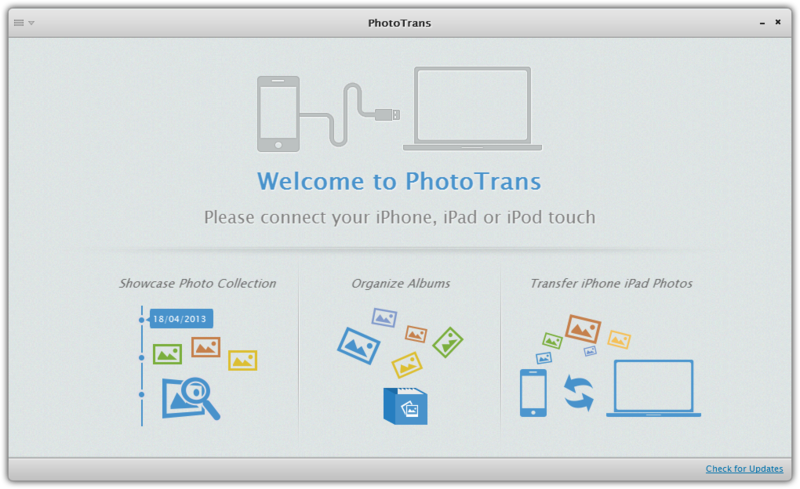 PhotoTrans is your handy iPhone photo transfer software, which is made to transfer, organize and showcase your photos between iPhone, iPad and computer. 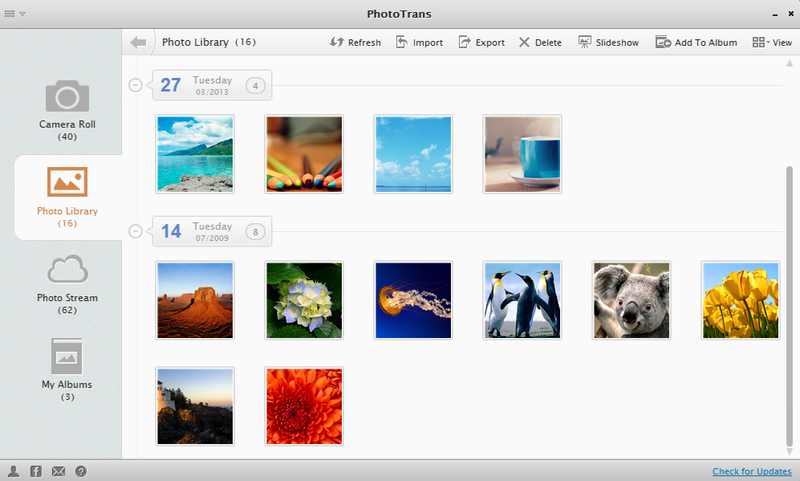 Read on this PhotoTrans online guide, and you'll get to know how to use it with easily and pleasantly. Now connect an iOS device (iPhone, iPad, iPod touch). 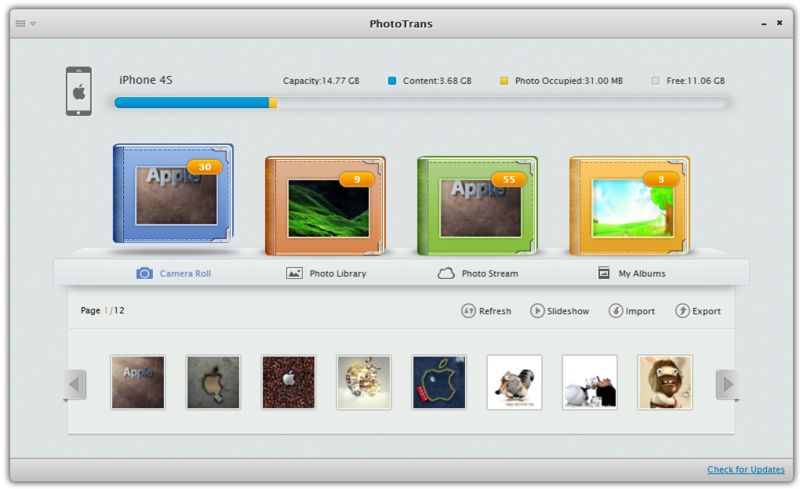 Wait a second and PhotoTrans will show you the storage condition of your device. If PhotoTrans cannot find it, please check if your iTunes has been installed properly or give the full pack version a try. 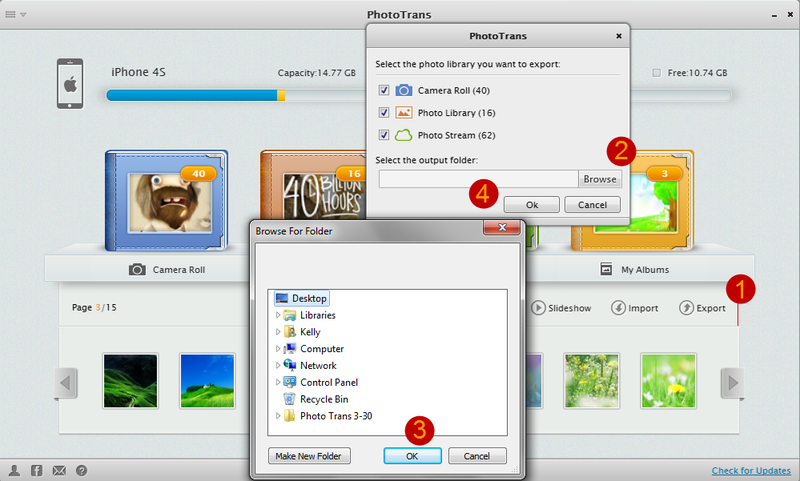 PhotoTrans' unique batch photo transfer allows you to move the whole library all at once. Thanks to modern USB 3.0 and Lightning interface technology, the transferring speed is as 3X as fast. 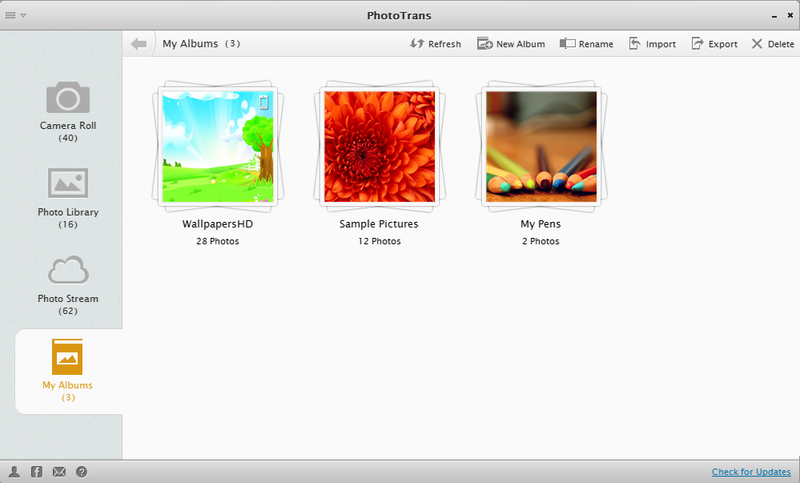 Tip: Importing photos to iPhone, iPad, iPod touch with PhotoTrans, you will not lose or erase original photo library. Best of all, you are now even set free from variety of iTunes limits, such as adding iPhone photos from any computer you want. In the Slideshow screen, you can view the photos in original size, zoom in / out, slide to previous / next photo, set on auto-play, rotate, and export the photo. 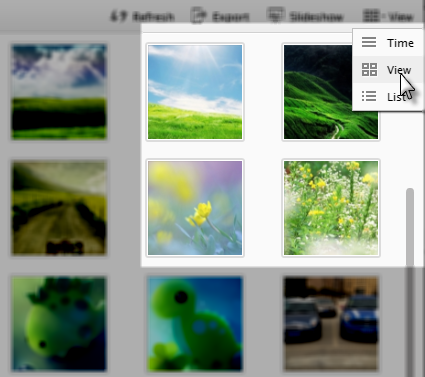 Tip: If you rotate a photo and export it to computer, then it will be saved as after rotating. 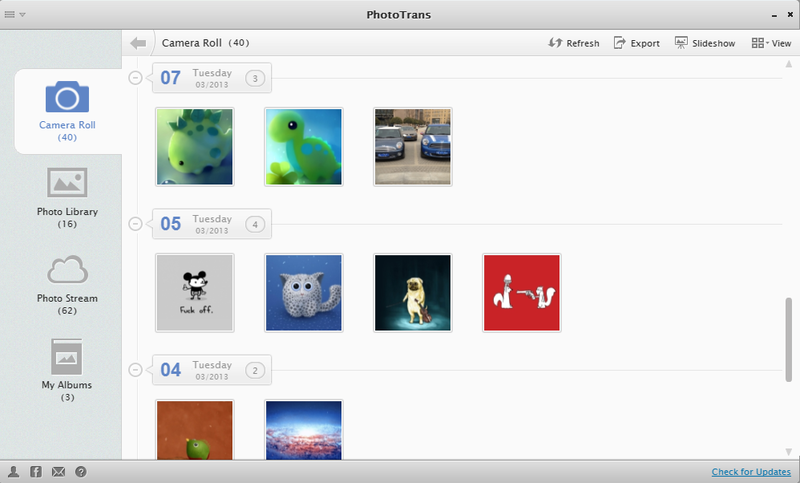 PhotoTrans displays your photo gallary by time-line by default. You can click the Plus / Minor tab to collapse or expand. 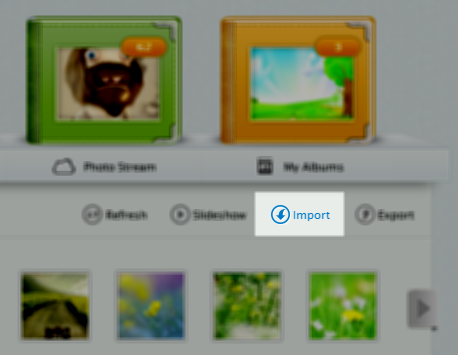 You can import, export, delete photos or add them to another album. Or you can also view them in a slideshow. 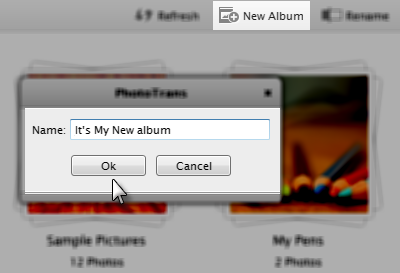 In the root screen, you can create, rename, import, export and delete an album (The album created by device cannot be removed. To do so, you need to operate deleting on the device). 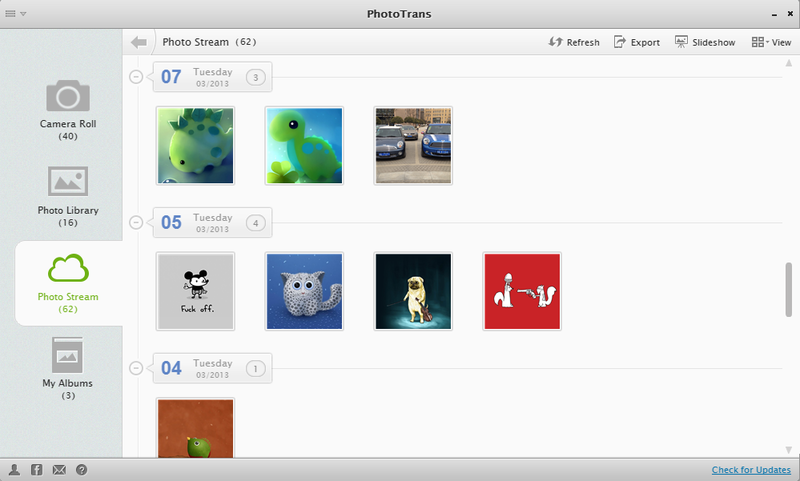 Tip 1: The reason PhotoTrans brings this feature is that organizing photos and albums on an idevice is very confusing. 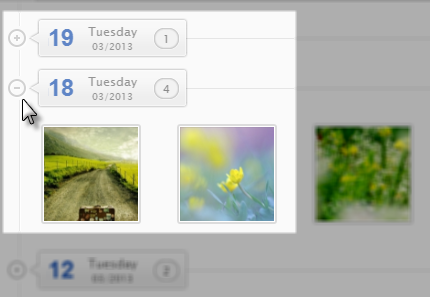 For example, you can only add the photos to the albums that created by device. 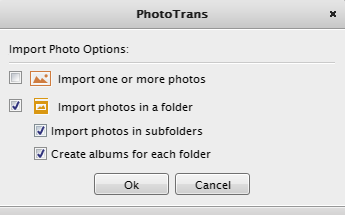 While PhotoTrans just gives you more freedom. 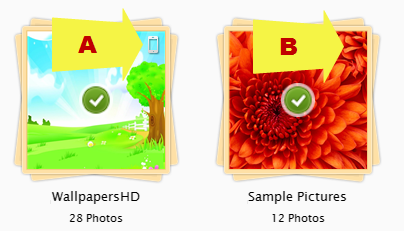 Tip 2: There're two kinds of album. 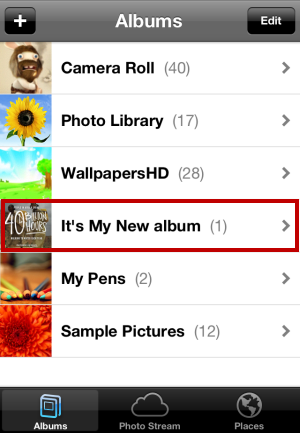 Album A is created by device, album B is imported by a third party software (you can see a device mark on album A). 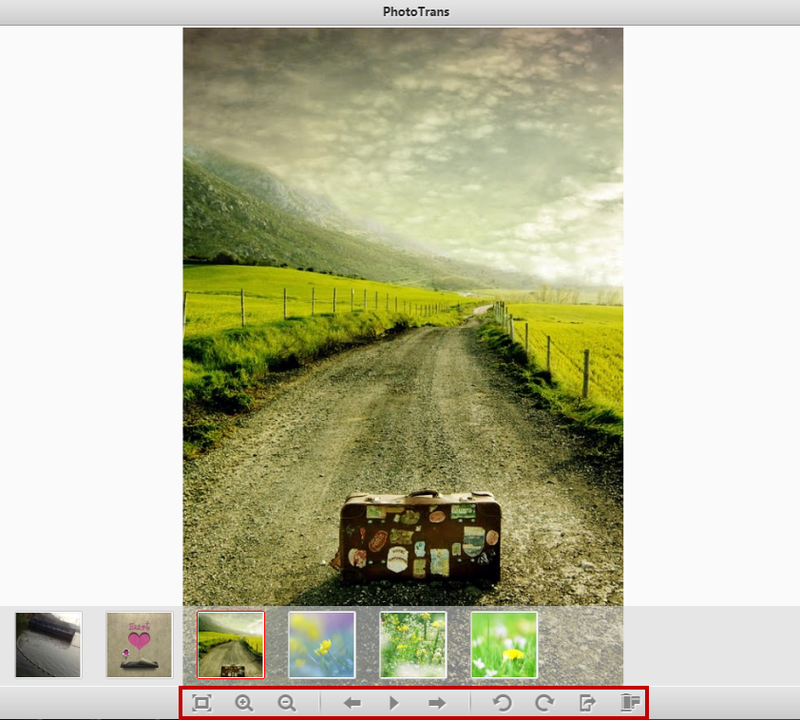 For the photos in a album created by device, you can export them to computer or view them in a slideshow. 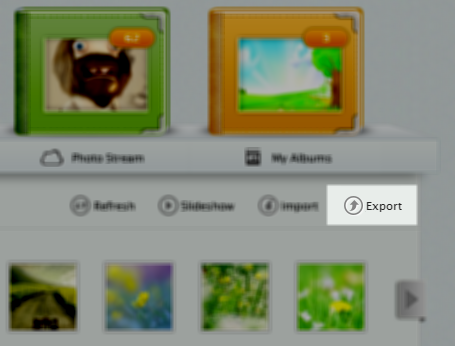 For the photos within an imported album, you can add, delete or export or view them in a slideshow. PhoneClean - the first iPhone Cleaner Software allows you to free up space on iPhone, iPad, iPod touch by removing cache, temp and other type of junk files..
AnyTrans - the ultimate iPhone iPad iPod Transfer brings up a full solution to restore media library from iDevice to computer or iTunes, and manage all content in all iOS devices.